When I began practising brush lettering and calligraphy in 2015, I fell in love. I quickly became entranced by the movement of the pen across the paper. The deliberate, slow motion of drawing letter forms brings me a sense of calm and relaxation. Brush lettering is my escape from the busy world of technology and has become a wonderful new way for me to express my creativity. And of course, I began thinking about how to share this beautiful art form with others. I designed some basic tracing worksheets, taught a workshop to a handful of women locally, and started to share online via Instagram and Periscope. After teaching my workshop, I quickly realized that the tracing worksheets are an essential tool that helps people understand how to draw the letter forms and build muscle memory. So I decided to design a more refined set, including important drills, as part of my teaching toolbox. Then an idea struck! After seeing my brush lettering online, the overwhelming response was “How can I learn to do this?” and “Do you have a guide, an e-book or videos?” These positive responses have motivated me to share my brush lettering practice worksheets online. Now people all over the world download and print my worksheets, and you can start practicing today! I have added a SHOP on my website, and you will see the tab at the top. You can also click on the tab “Learn Brush Lettering” as well and read more about the worksheets. I now have sets of worksheets for Small and Large brush tip pens, drills, lowercase alphabets, uppercase alphabets, and words (called “Connections”). Now there are also worksheet sets for the modern ‘bouncy’ calligraphy style that is more playful and relaxed. In December 2017, I released a line of Learn Lettering products (pens, workbooks, practice pads) with American Crafts. Click HERE to shop online and visit my other store. Beginners ask, “Where do I start?” I always answer, get a large brush pen and use Bundle 1 or get a small brush pen and use Bundle 2. It’s that simple. I have recommendations for brush pens (and affiliate shopping links) in my Shop with each set of worksheets. 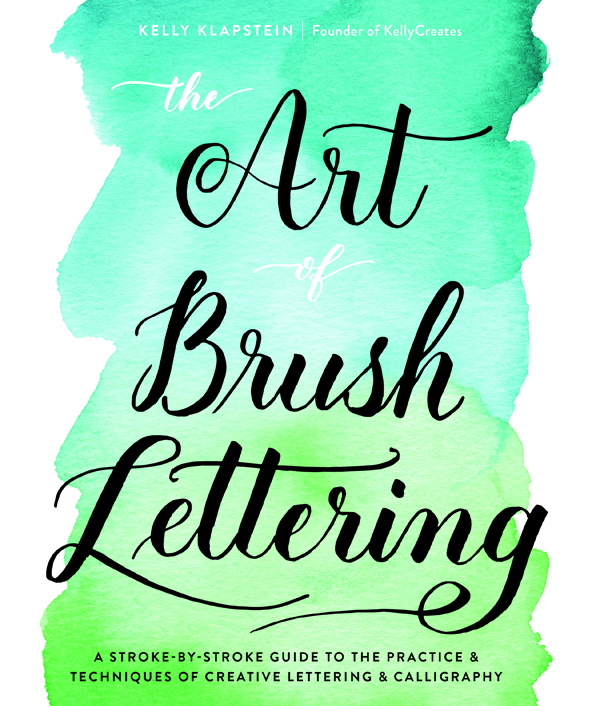 I’m so excited to share the beautiful art of brush lettering and hope you enjoy your lettering journey as much as I do! I now offer in-person workshops worldwide, and if you are interested, click HERE to see my Workshop information. You can also contact me about teaching in your area, and we can set up a workshop tailored to you! If you haven’t yet tried my brand of Kelly Creates brush pens, then I highly recommend that you do. They are wonderful! (no bias here! lol). They are available at Michaels stores in North America and other retailers worldwide. Happy Crafting….. and happy Brush Lettering! So exciting! Your brush lettering is gorgeous. The time & efforts you took to create the practice sheets, appreciated. You were one of the first people I connected with on Periscope & hope to meet you & Finn in person one day! These are amazing! I have been practicing like crazy. Can’t wait for the upper case letters too. How do I print your worksheets? Hi Katrina! You can click on the SHOP at the top menu or LEARN BRUSH LETTERING tab at the top. There you will receive instructions on how to get the download. The two sets are available for purchase in my “SHOP”. Let me know if you need any help. Thanks! kelly, how can I downloadbthe free worksheet?? Do I need to add it in the cart even though its free?? To download the free Bouncy Drills worksheet set, you will have to go through the check out process even though it’s free. You won’t have to pay anything, I don’t use your info for anything either. Fantastic job, Kelly. I purchased the bundle and am so happy with it. Brush lettering is on my “I’ve Got to Learn How to Do This” list and I know that your sheets will make the learning process fun! I am loving your worksheets. They really help with where to put pressure on the pen and where to let up. Do you have a single sheet with the upper and lower case letters on it available as a reference? That would be really helpful for when I feel ready to do the letters freehand, but need to remember what each one looks like. Hi Marshall, Because of your comment, I am going to develop that reference sheet and send it to customers who have signed up for my newsletter. Thanks for the great idea! love it! So cool … I can’t wait! Thanks! Thank you for the worksheets. They are a great help. What brand markers/pens do you primarily use? Hi Crystal, Mostly I use Tombow Dual brush pens, Sakura Koi Coloring Brush Pens, and Kuretake Brushables or Scroll& Brush. For small brush tips, I like the Tombow Fudenosuke and the Pentel Sign Brush pens. There are also many more brush pens on the market that are great, but I don’t have them all ha ha. Hope this helps! Do you have a list of the markers you use aside from the sharpies?? Hi Lisette, I actually don’t practice much with Sharpies. Mostly I use Tombow Dual brush pens, Sakura Koi Coloring Brush Pens, and Kuretake Brushables or Scroll& Brush. There are also many more brush pens on the market that are great, but I don’t have them all ha ha. Hope this helps! Hello Sir,My names is James.I live in Myanmar.I want to Learn Brush Letting Paper.How can i do?Please sir. Hi James, You can learn by buying a brush pen (either large tip or small tip) and then getting a set of my practice worksheets that are printable tracing guides. You will love them. Just click the SHOP tab to see them. I recommend Bundle 1 or Bundle 2 for beginners, depending on the brush tip size. Hope this helps! Kelley ,Kelley, your new stamps from CHA rock.Lettering is something I’m just starting to learn and yours are just the jump one needs.I hopped over from CS to let you know . Thank you for sponsoring at CSM!! Amazing inspiration! Could you please let me know which of your products that would work for left handers? I would love to do all of the different lettering? Hi Julie, lots of lefties are talented lettering artists. And there are also a lot of lefties who use my worksheets. It doesn’t matter which pen or worksheet you use with your left hand, but you will have to adjust the position of the paper and the push pull technique on the brush pen. I see that you have a book coming out. Yeah!! Will it really not come out until December of this year? Will it include practice worksheets? I cannot afford what would be upper and lower case practice sheets in both small and large brush tips. Any ideas for those that cannot wait until your book comes out for affordable practice sheets? Kelly I was sent your way by Creative Scrapbooker Magazine and I’m so very grateful as I have been looking for someone to learn this style of lettering from! I can’t wait to visit your blog each day! I would so love to do this. I am going to take some time to try this sometime soon. You do it with such ease and I am sure the practice sheets make it easier for a beginner. Like anything practice, practice, practice, RIGHT? Thanks for sharing your amazing talent Kelly. Can you tell me how to find and print your Bouncy Letters practice worksheets? I cannot find the “download” box or button. I just finished watching your YouTube tutorial on Bouncy Letters! It was phenomenal! You had such clear instructions, and illustration. Thank you for sharing your creativity. Paula, if you go into my “SHOP” tab, you will see Worksheets for Large Brush Pens. Click on that and then you will see an image with “Bouncy Lowercase Alphabet”. Those are the worksheets. The free ones are the Bouncy Drills. You have to go through the check out process with both. Thank you Kelly for developing such a user friendly system to learn brush lettering! You make it seem effortless! I looked through your recommended products and have a question. Which type of paper do you recommend for printing your worksheets on? Thank you in advance!!! Thanks for the kind words, Katie. You can print on any very smooth paper, like HP Premium Laserjet 32 lbs from Staples or online. The link is in Products I Use web page. You don’t need a laser jet printer to use this paper. I so love how you show step by step practising calligraphy. Been try it for months already and always im eager to learn from it. HI Dessa! I love hearing from people all over the world! My pens can be purchased from my online store http://www.kellycreatesstore.com and we ship internationally. Thank you so much Ms Kelly,it really helps me . Im in the Philippines. im very happy because I’ve learned a lot from you. Thank you so much! I loved your class at Impress last Saturday! Can’t wait for you to return and do another class and I hope it’s soon.